MBA or M.Tech, which is better choice after BTech ? 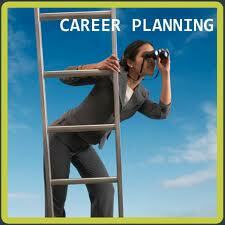 Home > > Career plans MBA or M.Tech, which is better choice after BTech ? Many students are in dilemma to choose what to do after BTech?, These are most difficult questions are arises in mind of students when they have completed their BTech course. As the first choice that comes in mind of students are BTech and M.Tech. Both MBA and M.Tech courses have its own scope for future aspects. In this article, I will explain to you which course is better choice after BTech? What to do after BTech? It is always difficult to choose one course among many because each course has its own scope of advantages and its own scope of disadvantages. It is common questions for students when they have completed any course. What to do next?, After completed their course, most of the students search on the Internet what to do next and what will be the scope of doing that course. These are the questions are arise in mind of students. Moreover, students of BTech final year has same sort of confusion in their mind what to do next? This question looks simple but answer to these questions are not easy at all because it is difficult to compare any two courses as each course will has its own scope in its own field. Some BTech students are in favour of doing MBA while others are in favour of doing M.Tech but truly it not cakes walk to compare MBA and M.Tech because it depends on certain factors. Before making any decision, analyze your internal abilities and decide your prospects and what you want to do in future. Also, engage yourself in thinking of the individual course and its future scope. I have gone through the experience of many expert Computer and IT engineers and then came to conclusion that it not that MBA is good or M.Tech is good. If you are doing BTech from any institution and planning to do MBA from any college or university then the first question that most of the people will ask from you is that why did you do BTech in first place and why do you worked so much hard in technological field. There is a shortcut for doing MBA that too from commerce field and this is difficult to digest this fact, especially for student who are doing BTech because they have spend so much time in getting technical knowledge. He/she can achieve the same from commerce field with less effort and lesser time requirement. After seeing the above conclusion still I go with MBA because personal experience of most of professionals shows that after doing M.Tech most of professionals restricted themselves only in field of teaching. It is basically meant for earning respect and peace within society but MBA has more scope as it would help students to earn money and grow fast within society. You can do the MBA even after the M.Tech but vice versa is not considered to be important. Doing M.Tech at IITs or IISc level is considered better than MBA because IIT or an IISc are best in India for undergraduate disciplines that is for BTech and M.Tech only . Therefore, M.Tech has high scope in India and for doing so you have to appear for GATE exam. Moreover, It is related with teaching field. In case you are interested in MBA then IIM is best choice for you because passing out from IIMs can help you to get around RS 15-20 lakhs per month. CAT exam is conducted by IIMs( Indian Institute of Management ) and it consider to be world toughest exam even though the level of syllabus covered 10th class basics. Among many students only about 1-2 percent will be selected after clearing the Group discussion and interviews. I want to share this article with students because it is common subject to discuss. It would help the students to choice better option for their future and hoping that after reading this article, your doubts about MBA and M.tech will be cleared and which will be better option to choose.